•He was born in Reading, PA on August 15, 1930. •At 16 years of age, he became one of the youngest church organists in Reading, PA when he accepted the position of organist at Saint Anthony’s Lithuanian Catholic Church. •From 1954 to 1956 he traveled the world as a tenor soloist with the Trapp Family Singers. •In 1961, he was named Director of the Men and Boys Choir of Saint Francis De Sales Church. 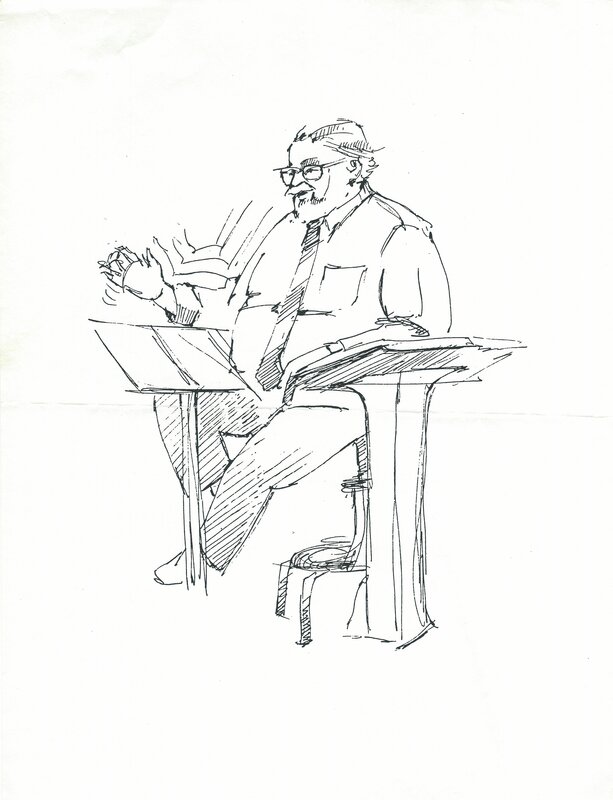 •From 1965 to 1976 he was the director of the Reading Choral Society. •In 1968 he was appointed director of liturgical music for the Archdiocese of Philadelphia and director of music and choirmaster of the Cathedral-Basilica of Ss. Peter and Paul. •In 1970 he was asked to assume the position of Chair of the Fine Arts Department of Saint Charles Seminary. •He was known to be exceptionally passionate about improving the quality of Catholic Church Music, with a particular emphasis on Gregorian Chant. •La Manna sang the role of Evangelist in the world premiere of Alberto Ginastera’s “Turbae” in 1975, with the Philadelphia Orchestra and the Mendelssohn Club of Philadelphia. •In October 1975, he became the first lay person appointed to the position of Chairperson of the Commission on Sacred Music for the Archdiocese of Philadelphia. 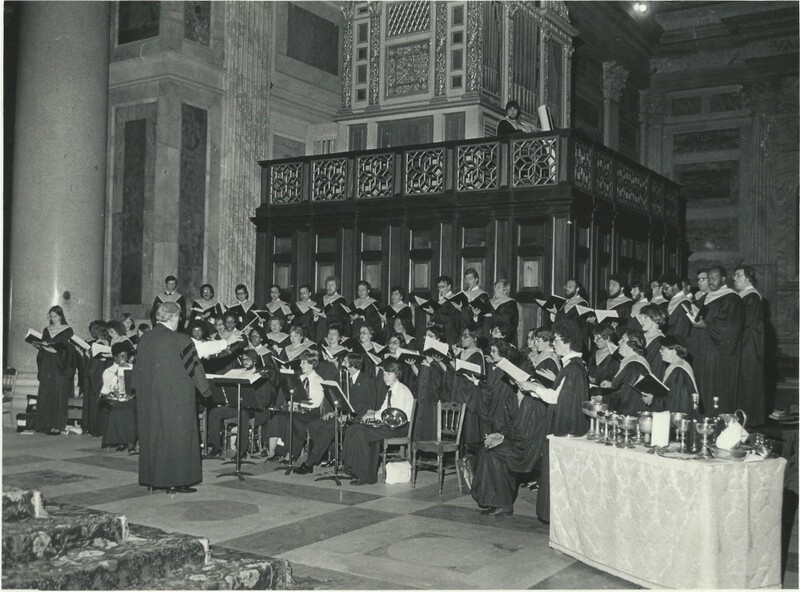 •In 1976, LaManna was director of music for the 42nd International Eucharistic Congress, held in Philadelphia, and was director of its 1,000- voice Congress Choir and Orchestra. 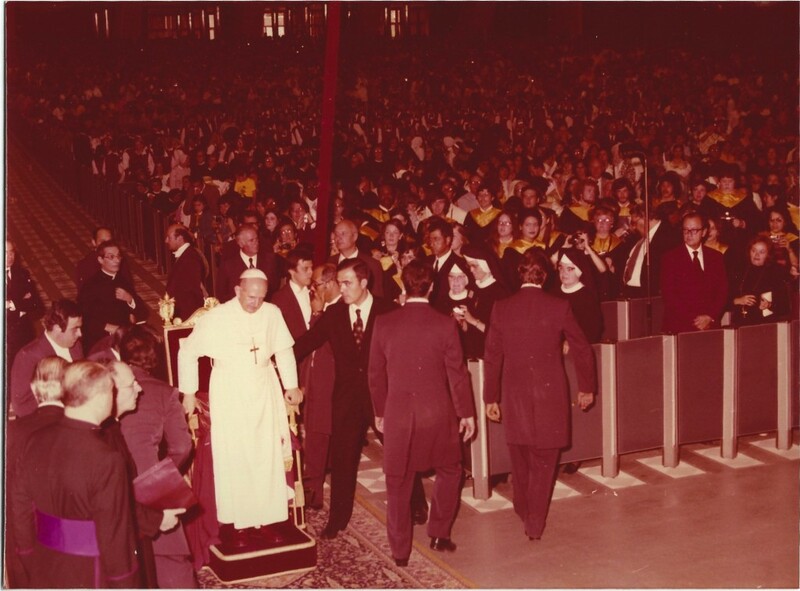 During the visit of Pope John Paul II to Philadelphia in October 1979, LaManna served as director of music and choirmaster for the occasion. •Among his many honors were the Silver Medal of the Couree of the French Academy in Paris and being knighted in the Order of St. Gregory the Great by Pope Paul VI. •He established the Association of Church Musicians in Philadelphia, as the educational arm of the Archdiocesan Office for Liturgical Music. •He was a founding member of the Conference of Roman Catholic Cathedral Musicians and hosted its first conference in Philadephia in in the spring of 1983. •He died January 16, 1990. 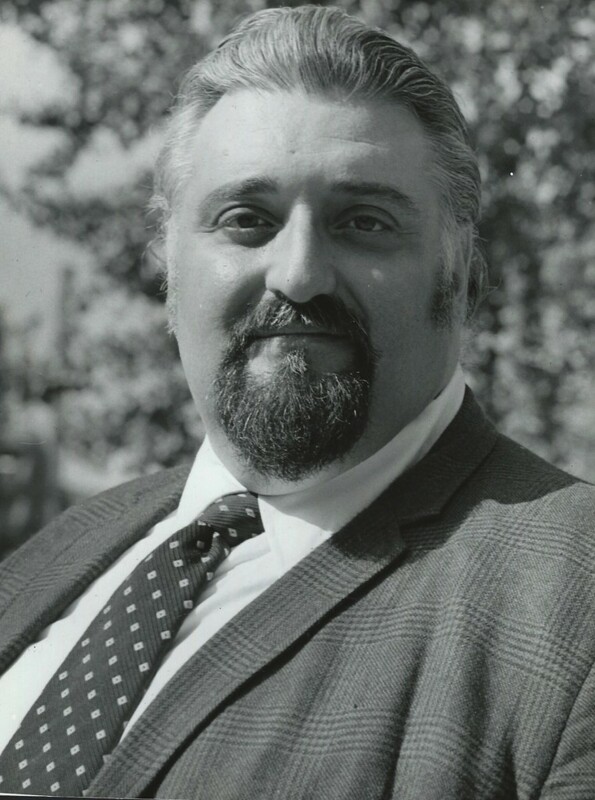 In 1976, LaManna was director of music for the 42nd International Eucharistic Congress, held in Philadelphia, and was director of its 1,000- voice Congress Choir and Orchestra. 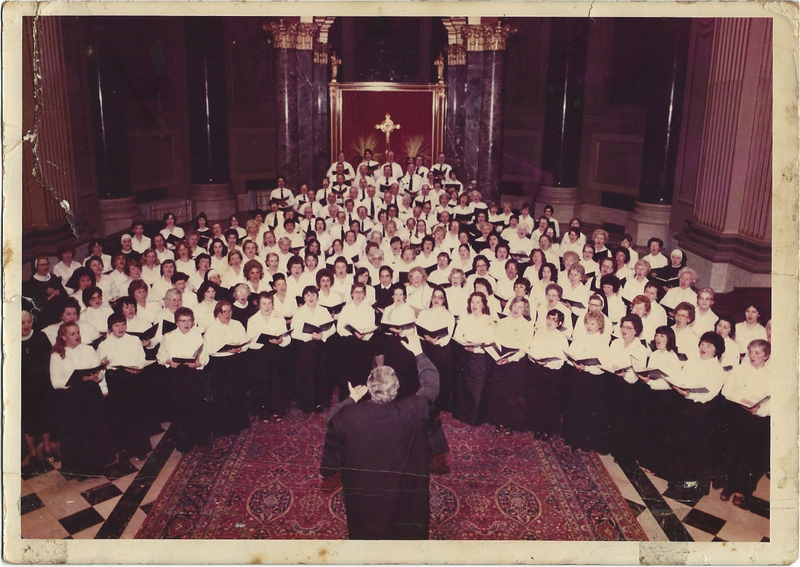 During the visit of Pope John Paul II to Philadelphia in October 1979, LaManna served as director of music and choirmaster for the occasion. When he came to the Cathedral-Basilica in 1968, LaManna already had impressive credentials. Born in Reading, he was organist of St. Anthony’s Church there at the age of 16. He received a bachelor’s degree in education from Temple University and his master’s and doctorate in music from the Philadelphia Conservatory, now the University of the Arts. LaManna had studied privately with Elaine Brown, Julius Herford and Nadia Boulanger. From 1954 to 1956 he went on a world tour as a tenor soloist with the Trapp Family Singers. In 1961 he was named director of the men and boys’ choir at St. Francis de Sales Church. In 1969 he formed an Archdiocesan boys’ choir. La Manna sang the role of Evangelist in the world premiere of Alberto Ginastera’s “Turbae” in 1975, with the Philadelphia Orchestra and the Mendelssohn Club of Philadelphia. It was in his role as a singer that Mary McFadden knew him best. At many of the funerals for priests, McFadden, an organist, would accompany LaManna. But if he was patient and indulgent on a personal level, he could be forceful and critical when speaking of the overall quality of music in the church. 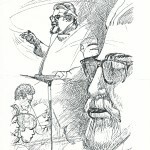 In a December 1975 interview with Inquirer reporter Samuel L. Singer, LaManna said one of the topics he wanted to be addressed at the Eucharistic Congress was music in the church. Commission on Sacred Music. He was the first layman to chair such a commission. 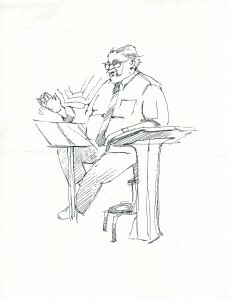 In 1977 he formed the 200-voice Philadelphia Archdiocesan Choir. 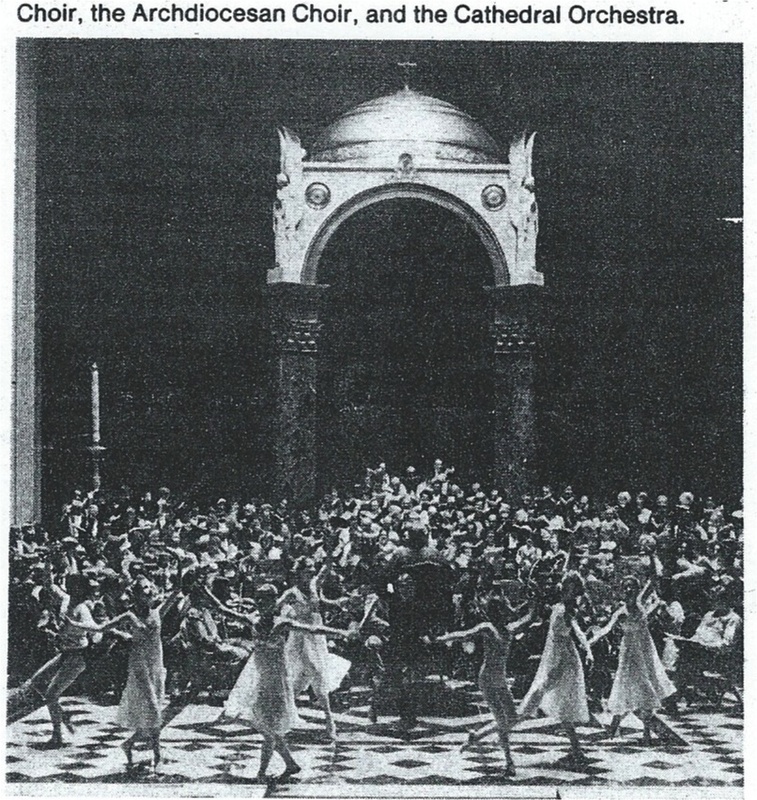 It made its debut in April 1978 when it joined the 50-member Collegiate Choir. It was an outgrowth of the choir LaManna had formed for the Eucharistic Congress. For many years, LaManna had suffered health problems associated with diabetes. Among the honors that LaManna received was the Silver Medal of the Couree of the French Academy in Paris “in recognition of his contributions to the world of music.” The award, which he received in May 1976, is similar to a professor being awarded a chair at an American university. Also in 1976 he was knighted in the Order of St. Gregory the Great by Pope Paul VI. LaManna had standing invitations from colleges and universities in the United States and Europe to lecture on Gregorian Chant and Renaissance Music. He had been a member of the board of directors of the Philadelphia Chapter of the Church Music Association of America and secretary-treasurer of the National Association of Catholic Cathedral Choirmasters and Organists. Mass of Christian Burial will be celebrated at 7 p.m. Sunday at the Cathedral-Basilica, 18th Street and the Parkway. There will be no calling hours. Burial will be in Gethsemane Cemetery in Reading. A Memorial Mass will be celebrated at 10 a.m. Wednesday at St. Peter’s Church in Reading.